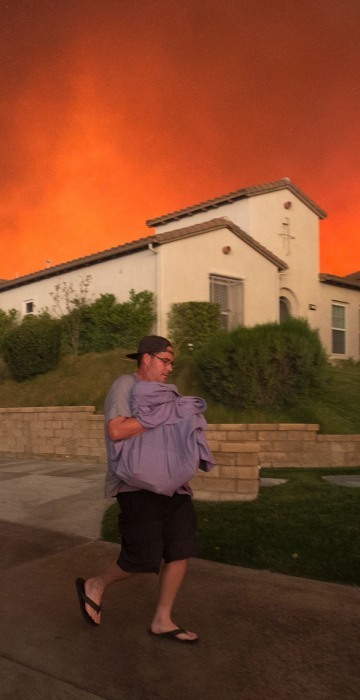 Californians flee the Sand Fire, a presidential hug for Hilary Clinton, powerful hail in Wyoming and more of the week's best pictures. 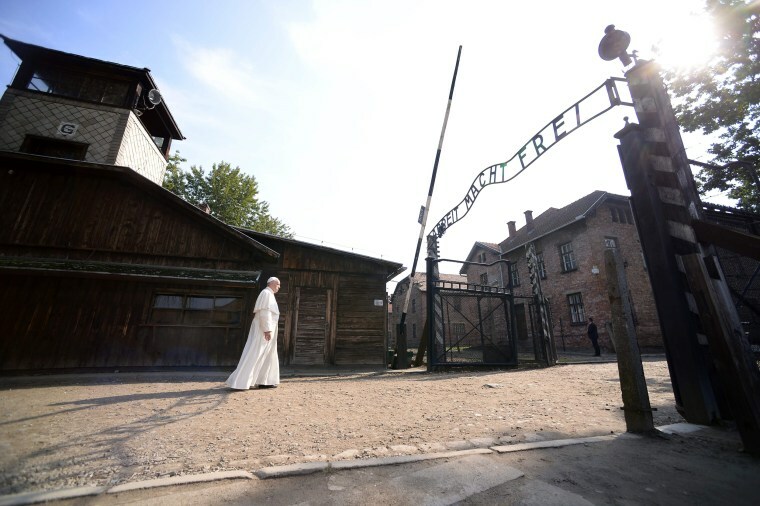 Pope Francis walks through Auschwitz's notorious gate below lettering that reads "Arbeit Macht Frei," or "Work Sets You Free," during his visit to the former Nazi death camp in Poland on July 29. Pope Francis prayed silently on Friday in tribute to 1.5 million people, most of them Jews, gassed there by Nazi occupiers during World War II. 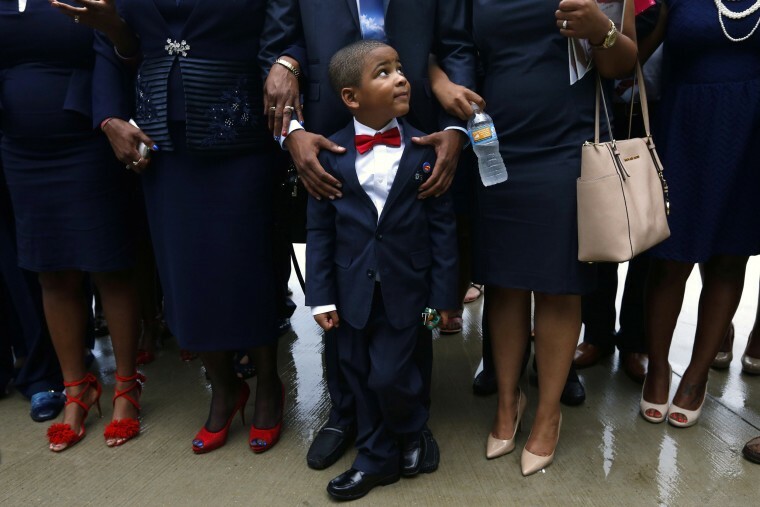 Four-year-old Kameron Pitts, nephew and godson of slain Baton Rouge Police Department officer Montrell Jackson, attends his funeral service at Greenoaks Memorial Park in Baton Rouge, Louisiana, on July 25. Multiple police officers were killed and wounded in a shooting near a gas station in Baton Rouge on July 17, less than two weeks after a black man was shot and killed by police here, sparking nightly protests across the city. 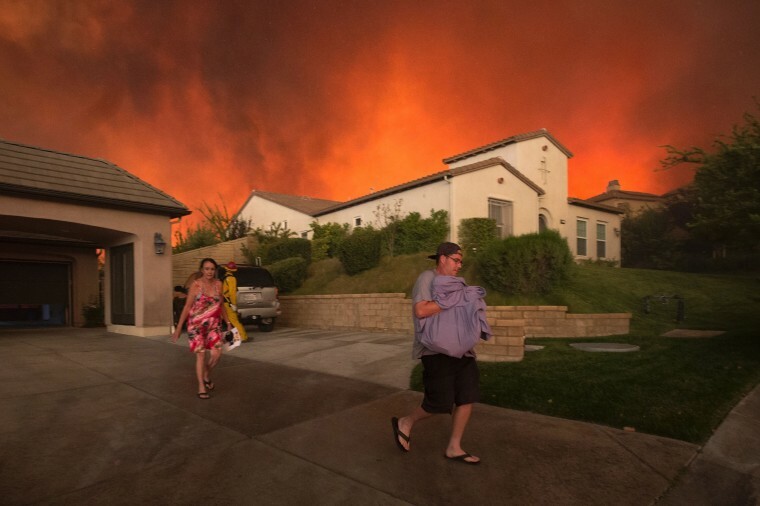 Residents flee their home as flames from the Sand Fire close in on July 23 near Santa Clarita, California. Triple-digit temperatures and dry conditions fueled the wildfire at a rate of about 10,000 acres per day. 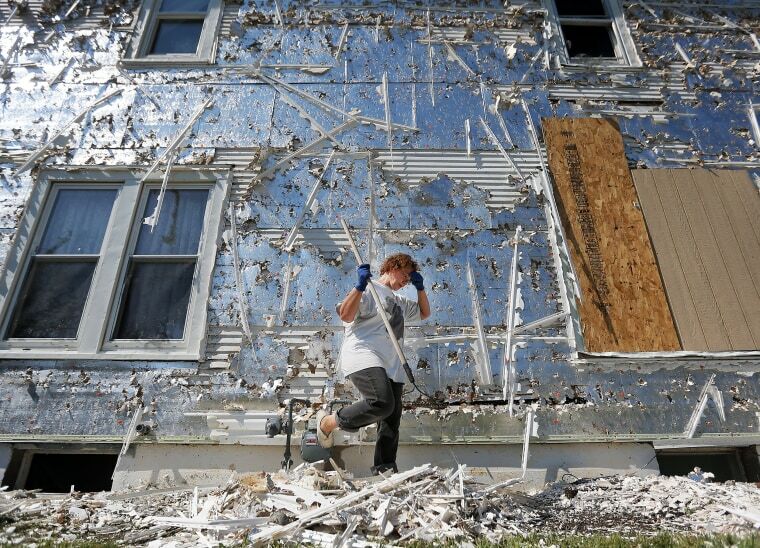 Rhonda Reed wipes the sweat from her brow as she rakes up the remains of the siding from the south side of her home on July 28 in Pine Bluffs, Wyoming, after a damaging hail storm. Gov. Matt Mead ordered more than two dozen members of the Wyoming National Guard to help residents of Pine Bluffs recover from the storm. 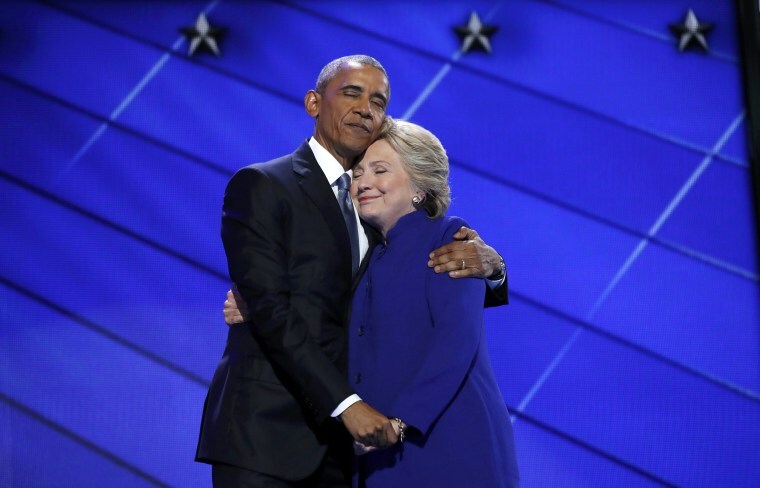 Democratic presidential nominee Hillary Clinton hugs President Barack Obama as she arrives onstage at the end of his speech on the third night of the 2016 Democratic National Convention in Philadelphia on July 27. 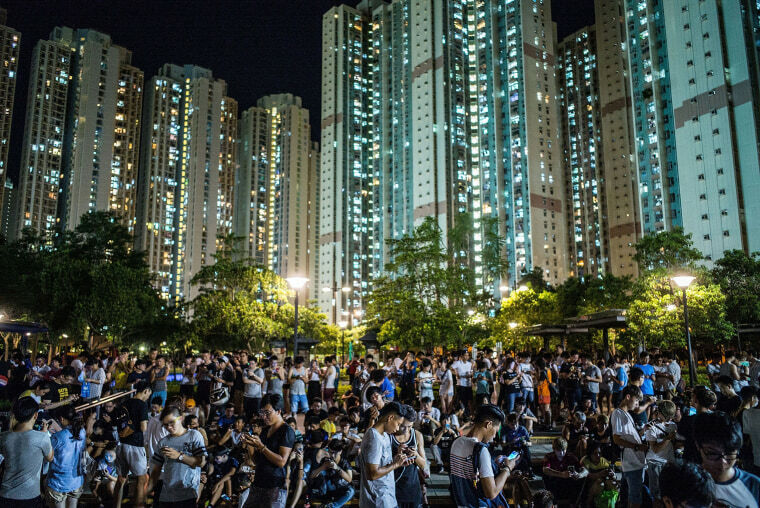 People play "Pokemon Go" at a park on July 26 in Hong Kong. The game, which has been a smash-hit across the globe, was launched in Hong Kong on July 25. 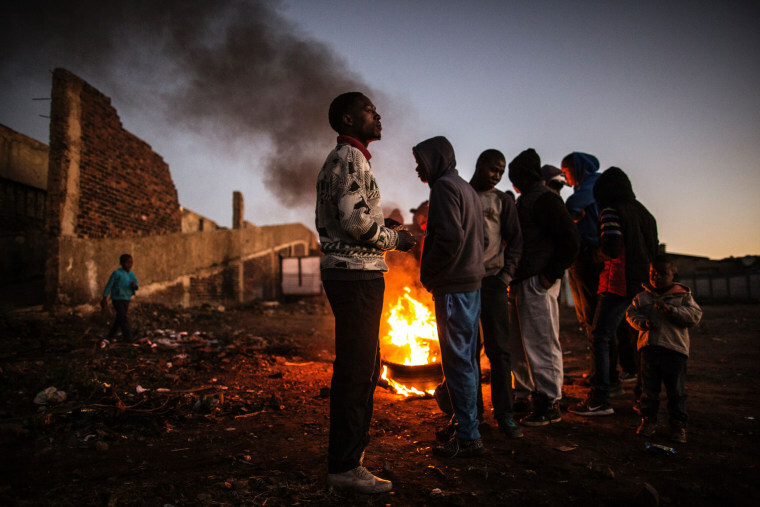 Residents of the Kliptown section of Soweto gather next to burning tires during a protest demanding better public services on July 27, ahead of Aug. 3 municipal elections. 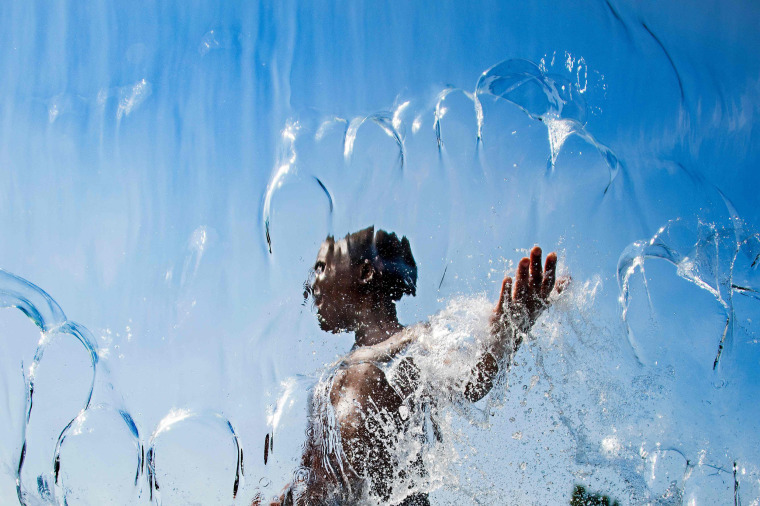 A boy plays plays in the water at The Yards Park as Washington, D.C., suffered through a heat wave on July 25. 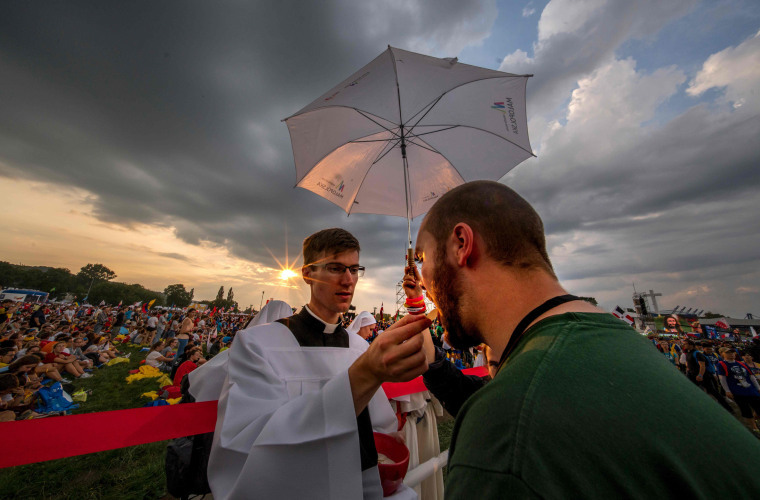 A pilgrim receives holy communion during the opening Mass for World Youth Days in Krakow, Poland, on July 26. Pope Francis arrived in Poland on Wednesday for an international Catholic youth festival with a mission to encourage openness to migrants. 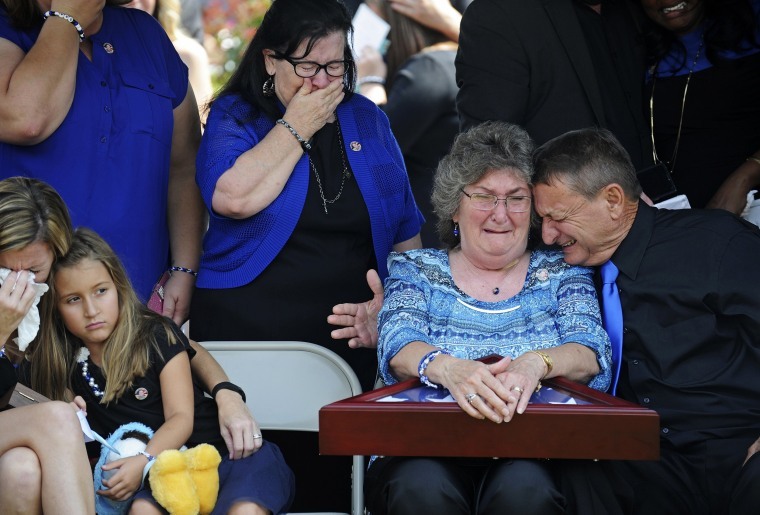 Emily and John Garafola, right, parents of East Baton Rouge Sheriff deputy Brad Garafola, weep after being presented with a flag at the Istrouma Baptist Church in Baton Rouge, Louisiana, on July 23. Multiple police officers were killed and wounded in a shooting near a gas station in Baton Rouge on July 17, less than two weeks after a black man was shot and killed by police here, sparking nightly protests across the city. 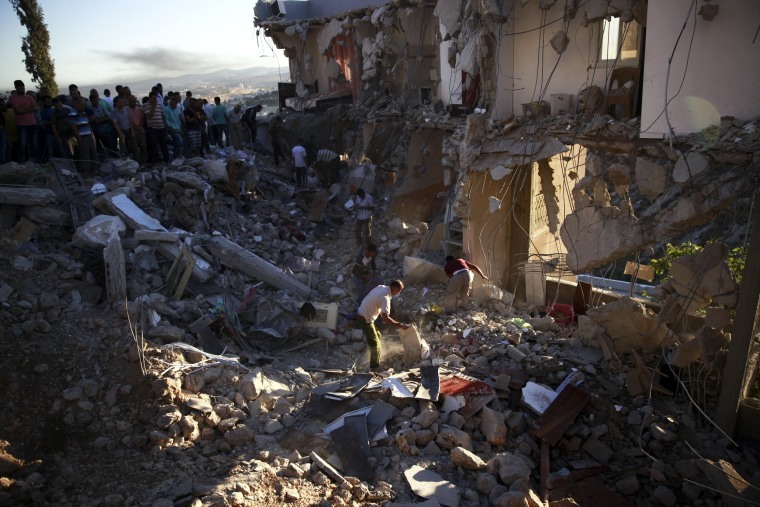 Palestinians stand around a house demolished after a shootout between the Israeli military and a group of Palestinians in the village of Surif, near Hebron in the West Bank on July 27. Israeli forces tracked down a group of suspects in Surif behind the deadly ambush of a family car in the West Bank earlier this month and killed the man who pulled the trigger in that attack, the military said. 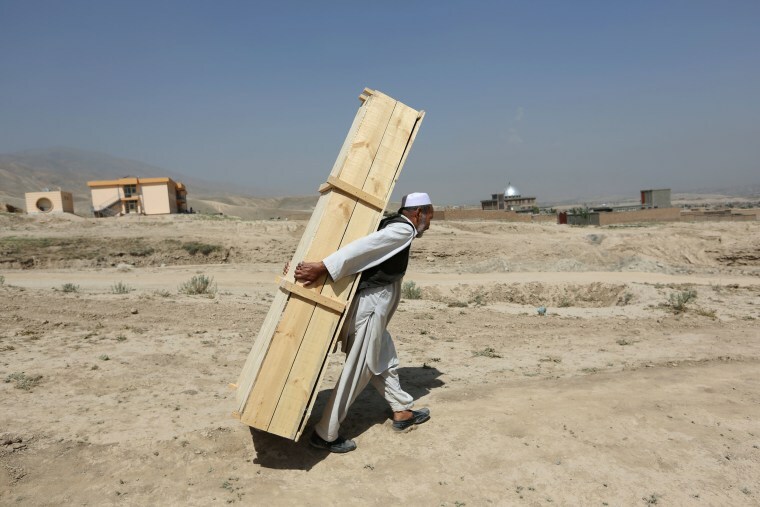 An Afghan man carries an empty casket for a funeral in Kabul on July 25. Afghanistan held a national day of mourning on Sunday, a day after a suicide bomber killed at least 80 people who were taking part in a peaceful demonstration in Kabul. The attack was claimed by ISIS. 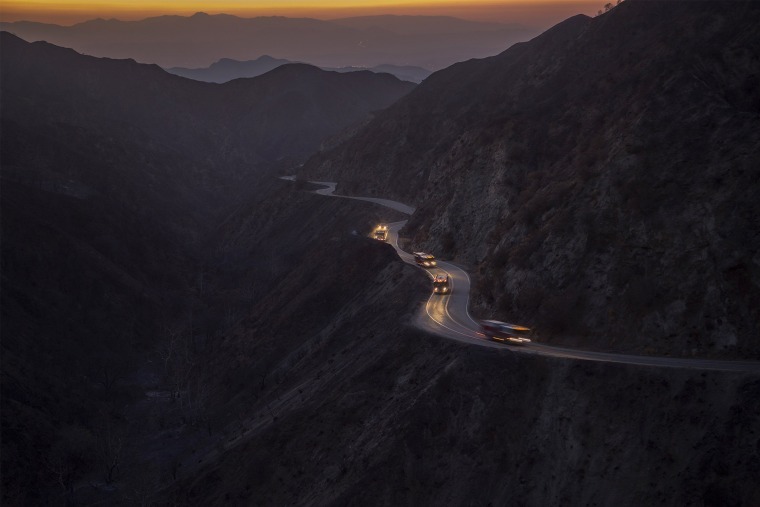 A convoy of firetrucks drives through Bear Canyon after it was burned bare by the Sand Fire on July 25 in Santa Clarita, California. Triple-digit temperatures and dry conditions fueled the wildfire at a rate of about 10,000 acres per day.